Welcome to a world where 100% natural ingredients fuse with indulging textures and delightful fragrances to offer you a unique treatment experience! Treat your skin with effective formulas created to deliver the desired results according to your skin type and age. Benefit from a wide range of products created under the latest technological novelties with respect to the health and safety of your skin, paraben, paraffin, colorant free. elmiplant SKIN CONTROL line, is a complete face care system based on clinical expertise and a deep knowledge of nature's power. A range of products enriched with 100% natural ingredients, such as Tea Tree, Lemongrass, Bamboo micro granules and White Clay which are combined with Lactic Acid and PEELMOIST to effectively help young skin regain its natural purity and health. SKIN CONTROL line offers products that regulate effectively sebum production, fight impurities and restore the skin's natural balance. elmiplant SKIN MOISTURE line, is a complete face care system based on clinical expertise and a deep knowledge of nature's power. A range of products enriched with 100% natural ingredients, such as Quince and Cotton Extract, deriving from eco-friendly and gentle extraction methods that preserve their actives and HYDRO NUTRIENT 24H, which combines the purity of natural ingredients with the power of science, offering immediate moisturization and prolonging skin hydration up to 24 hours. Take care of your hands with nature's touch! elmiplant hand creams are enriched with 100% natural ingredients to offer you a sublime sense of comfort. You can choose what suits your needs best between Moisturizing, Nourishing or Repairing, all enriched with NUTRI MOIST 48H for immediate and prolonged hydration up to 48H. There is also Antiageing Hand Cream enriched with PRO-ELASKIN that improves skin elasticity, prevents and reduces dark spots, protecting hands against premature ageing. Roll-away cellulite and re-shape your figure with the Power of Nature! 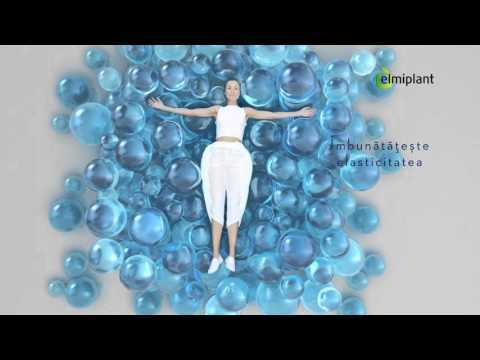 Elmiplant Slimming lines will satisfy your personal needs with natural ingredients and powerful complexes. Shape up for success with Bodyshape Anticellulite Cream, Anticellulite Gel, Anticellulite Intensive Serum, Total Remodeler Gel/Cream and the new product Slim No Gym Gel which mimics the effect of endurance exercise training. Roll-away cellulite with a “hot” range consisting of Anticellulite Massage Cream, Anticellulite Drainage Gel, Anticellulite Shower Cream, Cryo Sculpt Gel and Anticellulite Massage Oil. elmiplant Foot care range is especially designed to moisturize and improve the appearance of intensively cracked skin with a combination of 100% natural ingredients deriving from eco-friendly and gentle extraction methods that preserve their actives. The Moisturizing Heels Cream will soften rough skin with Avocado Butter and Peppermint and the Cracked Heels Repairing Cream helps repair cracked skin efficiently restoring its appearance and softness with Shea Butter, Peppermint and 10% Urea. elmiplant Depilation line consists of Depilatory Creams fornormal and dry skinalong with an After Depilation Balm and Depilatory Wax Strips for face and body.The products are especially designed to effectively remove hair and in the same time protect your skin from irritation. All products are enriched with natural ingredients known for their calming and moisturizing properties and are Skin Friendly. elmiplant liquid and cream soaps clean hands efficiently and moisturize them, while antibacterial soaps protect them against bacteria. Honey and Wheat, Sandalwood and Lime, Olive Oil and Marigold, Passion Flower and Grape Seed Oil, Lemongrass and Ginger, Green Tea and Cotton: uniquely mix of ingredients for each of the 6 soaps, that leaves skin clean, moisturized and soft. elmiplant Shower Creams were created from the well-known benefits of 100% Organic Shea butter on skin. Besides this common ingredient, each of the 6 shower creams contains a unique combination of natural ingredients, which indulge the senses, leaving the skin silky and smooth. Enjoy the Refreshing Shower Cream with Lime & Quince, the Moisture Touch with Bamboo & Rice the Hydrating with Bamboo & Rice, the Exotic Elixir with Cranberry & Passionfruit, the Nourishing with Honey & Cotton and the Silky Radiance with Cocoa Butter & Macadamia. elmiplant offers a wide range of Cleansing products addressing the needs of Normal and Dry skin.They are enhanced with 100% natural Quince or Cotton,deriving from eco-friendly and gentle extraction methods, to ensure your personal face care needs and HYDRO NUTRIENT to prevent skin dehydration while maintaining its smooth appearance and comfort. The range consists of Cleansing Milks, Tonic Lotions, Cleansing Gels and Cleansing Wipes for normal and dry skin and it is completed by the Eye Make-up Remover and the Facial Water. Obtain exotic tan with elmiplant Spray Oils, enriched with 100% Organic Macadamia Oil & Coconut Oil. Enjoy the benefits of sun under an organic shield with the complete range of elmiplant suncare lotions & spray lotions enriched with 100% Organic Shea Butter, 100% Natural Strawberry Extract & Vegetal Complex to protect your skin naturally from premature ageing, moisturizing it and leaving a soft feeling. Soothe and moisturize your skin after sun exposure with elmiplant After sun Lotion & Spray Lotion. elmiplant SKIN MOISTURE Colour Correction creams are the next generation of BB moisturizers, enhanced with mineral pigments and natural actives that offer you a perfect complexion with just one touch! Enjoy a luminous, even skin tone along with effective moisturizing and protection in 1 product for light and medium skin tone. The line in enhanced with Skin Repair CC Cream which combines all the benefits of the CC Cream along with anti-wrinkle properties. elmiplant presents the NEW complete SKINNERGY line for face and body, a range based on the power of SUPERFRUITS and advanced moisturizing ingredients that offers young skin the energy, freshness and hydration it needs all day long. elmiplant SKIN DEFENCE line, is an advanced anti-ageing face care system based on clinical expertise and a deep knowledge of nature's power. A range of enriched with 100% natural Pomegranate, Fig, Cherry and Licorice Extract, which are combined with PRO-ELASKIN, an exclusive anti-wrinkle complex of marine origin, which promotes the synthesis of collagen and elastin and improves skin's moisture and elasticity, while in the same time stimulates cellular regeneration providing advanced anti-wrinkle skin defence. Nature has the power to reveal your most beautiful face! Boost your skin's vitality with the power of Nature and Science! Luxury has never been more accessible! elmiplant SKIN REPAIR line contains 100% natural ingredients that follow the latest evolution in cosmetology to help restore skin's elasticity and reduce deep wrinkles. Caviar, rich in valuable nutritive elements that stimulate cell metabolism that regenerate the skin from inside, is combined with Ceramides in order to ensure maximum efficiency against ageing and firmness loss. «Reveal the power of the Sea!